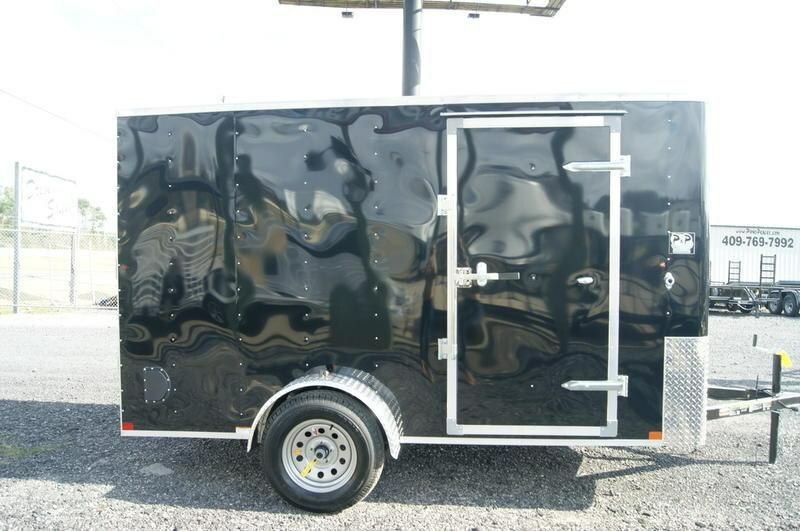 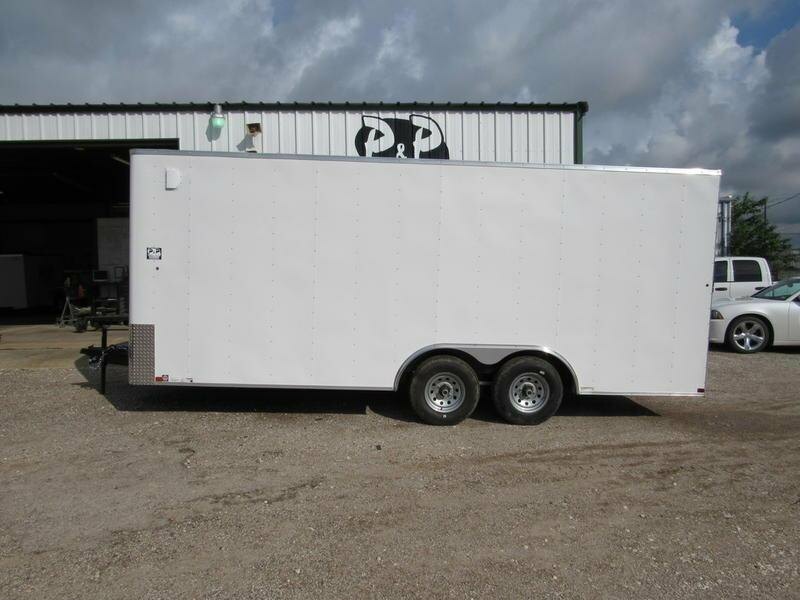 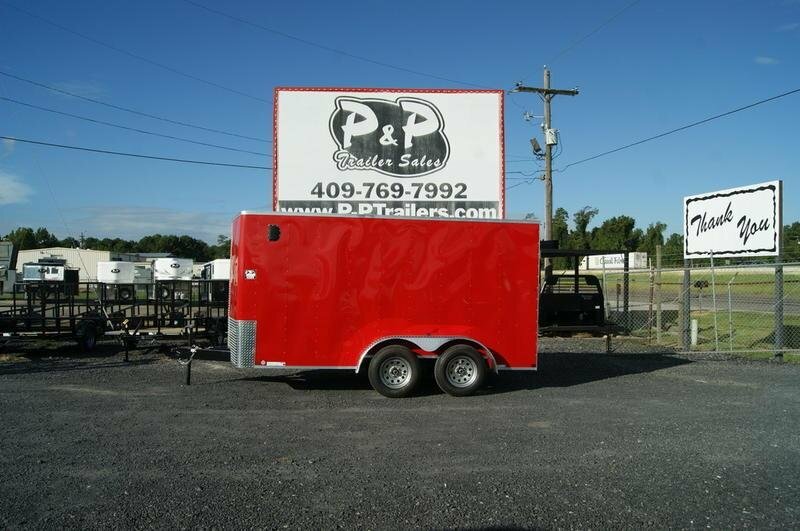 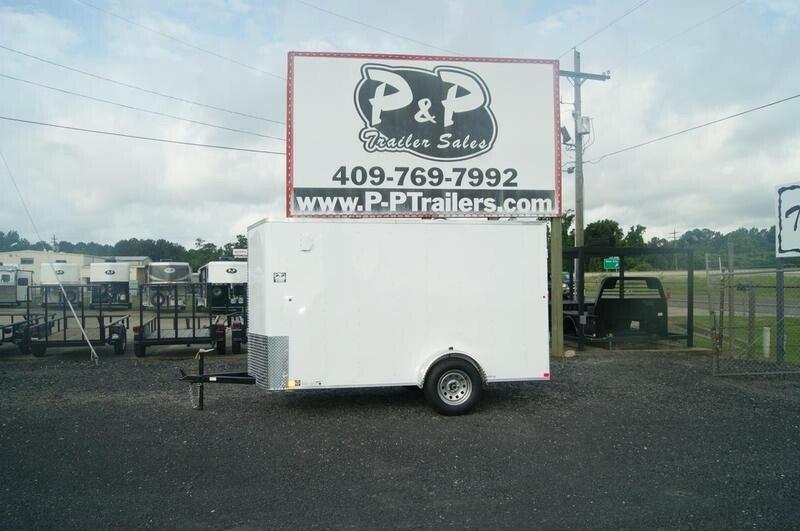 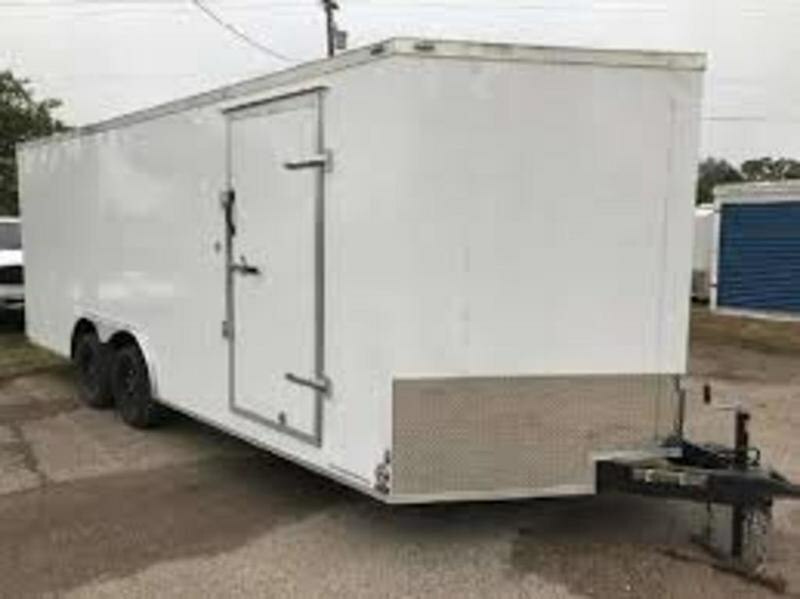 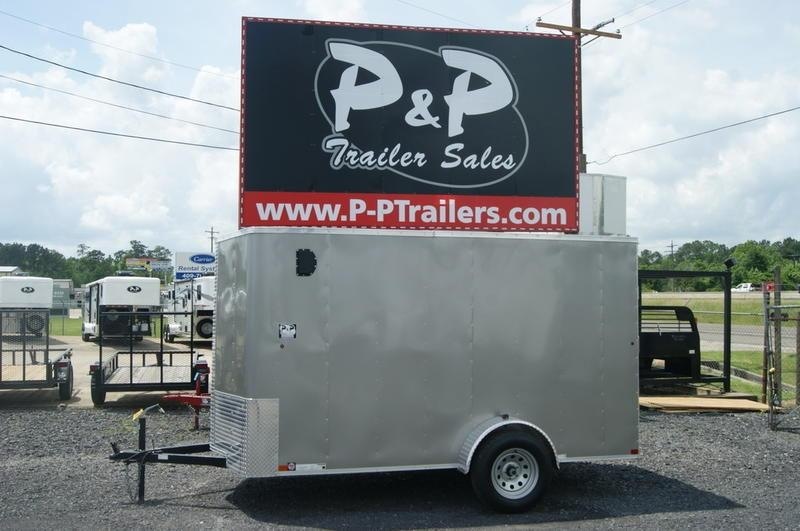 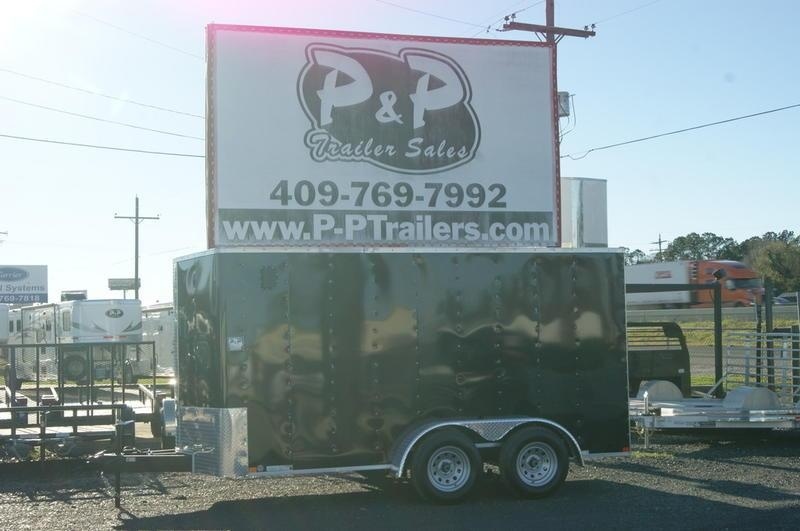 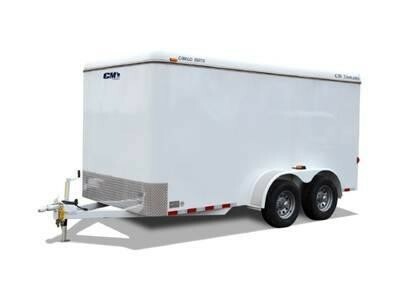 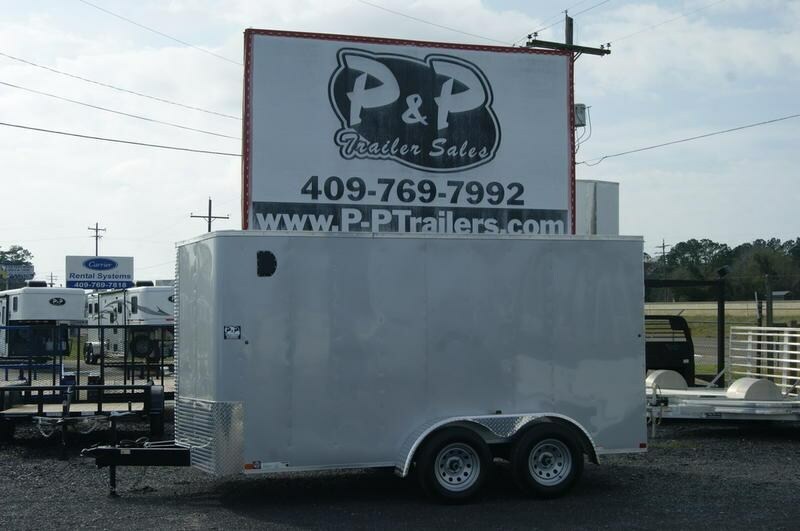 Stock No: CM Cargo Mate 16'x6'8"x6'6"
**Steel Flat Front Bumper Pull Cargo Trailer** Looking to haul a broader range of items? 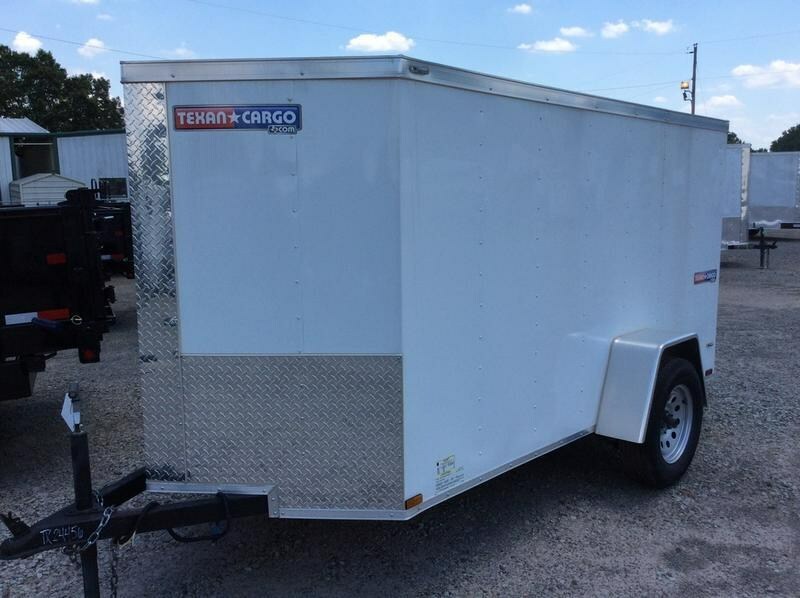 Choose CM's Cargo Mate! 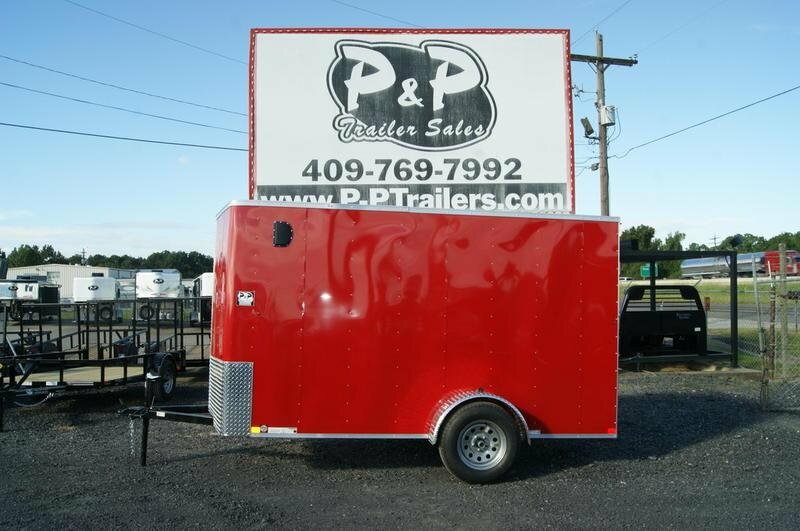 Featuring a steel frame and galvanneal steel exterior, the Cargo Mate ranges in size from 12 to 20 feet. 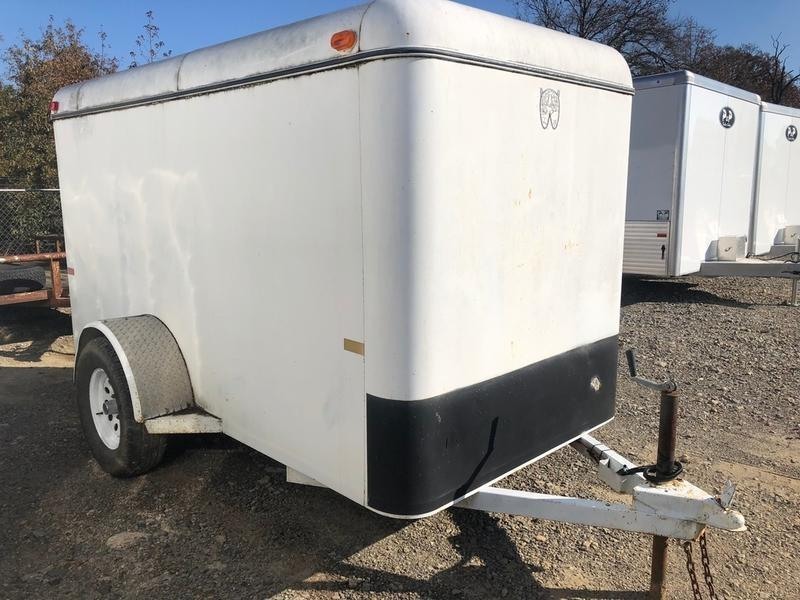 With multiple widths of 6', 6'8", and 7'10" and with a height of 6'6" tall, this model features rubber torsion Dexter Axles, silver mod wheels, and forward self-adjusting brakes on all wheels. 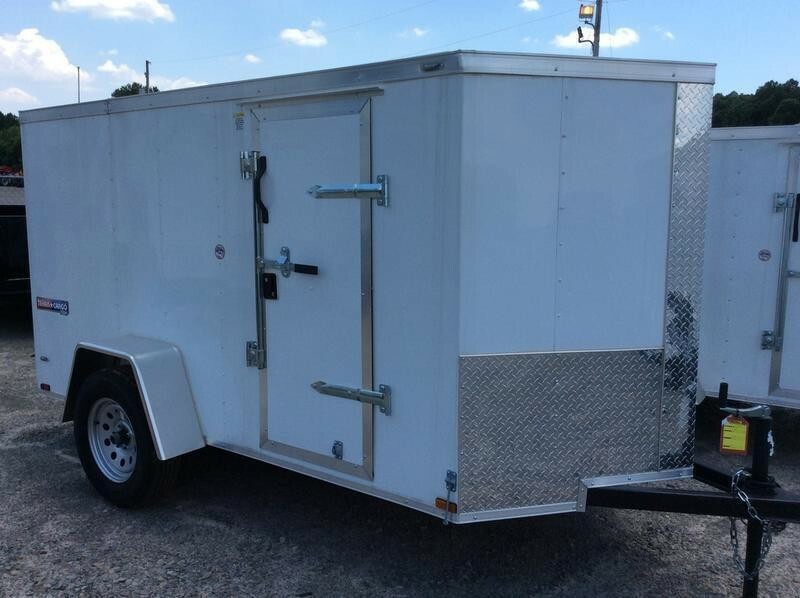 Other features include a 2" or 2-5/16" forged coupler, 1-1/2" x 1/4 " inside tie rail on sidewalls & front, sealed L.E.D. 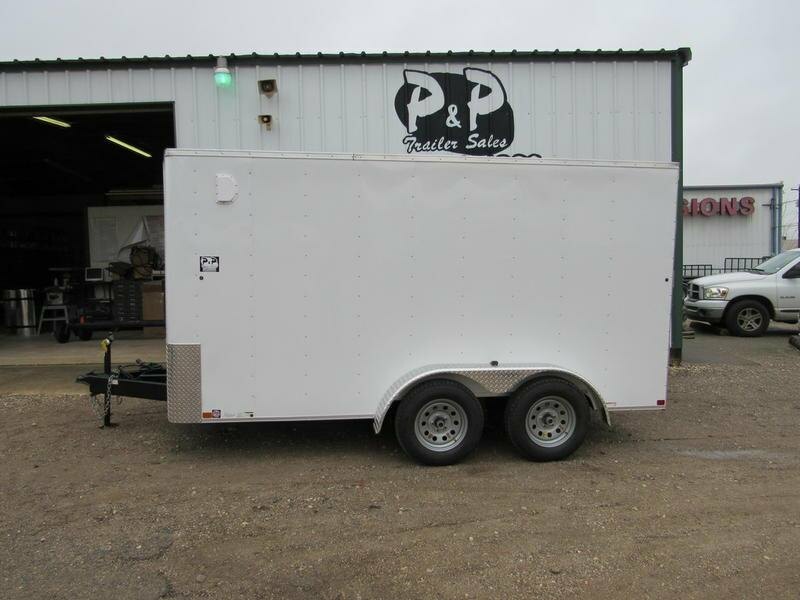 lighting, double rear doors w/ cam latch & hold backs, 30" side access on curb side and a flat front with optional V-Nose.